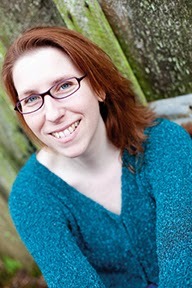 Writer Unboxed had a great article over the weekend about a fun tool to develop stories. John Vorhaus showed us how asking a few simple questions gets to the heart of your idea, and I wanted to expand on one aspect of that regarding conflict. Great story conflict is when what we want doesn’t get us what we need. Michael Hague gives fantastic workshops on this same concept, and I’ve talked about it here before with how the character arc illustrates the story’s theme while the plot arc illustrates the story’s goal. External versus internal, each pulling the protagonist a different direction. In many stories that “aren’t working,” this is the most likely reason why—no real conflict. This is especially true for stories that feel as though they ought to work, but are still getting meh feedback from critique partners. When the conflict is focused on getting the external goal only, no matter what is thrown in the protagonist’s path is just a delay tactic, no matter how amazing the path to get there is. We might enjoy seeing those obstacles overcome, but without the protagonist facing tough choices, there’s no actual personal conflict. While this can work in a movie (Raiders of the Lost Ark is probably the best-known example here), it tends to feel shallow in a novel. Action is quite compelling visually, but it has less impact when described. The emotional side is typically more compelling in written form (maybe that’s why love letters are so effective). In my novel The Shifter, my protagonist Nya wants to find (and later save) her sister, Tali. That’s her goal and what she wants. But what she needs, is freedom—literal “not be oppressed by the occupying army” type, as well as the “free to be who I really am” type. In most aspects of her life she’s trapped, and that’s the theme of the novel. So naturally, finding Tali means she’ll have to do the one thing that is guaranteed to make every bad guy in the land want to kidnap her and trap her forever. What she wants (to save her sister) conflicts with what she needs (to be free). Having one means she loses the other, and she’s not willing to give up on her sister. But to win, she has to embrace who she is and use it to save Tali (and herself). Until she becomes who she truly is, she’ll never be free. Of course, she doesn’t realize this at the start of the series, as needs can be unconscious goals. She knows she wants to be free of what’s trapping her, but she has no idea what will actually make her free. She has to undergo the trials of the plot to figure that out. Needs can be (and often are) unclear for protagonists at the start of a story. What they think will make them happy (the want) isn’t what will actually make them happy (the need), but they have no clue what they really need until they get the want and find it lacking. Most of the smaller scene-driving problems in the novel are due to this core conflict of want versus need. She gets caught stealing and wants to escape, and she uses her special pain-shifting ability to do it—which draws attention to herself and risks her freedom. She gets plenty of opportunities to be the person she wants to be, but they all come with a price she doesn’t want to pay. Sometimes she refuses, sometimes she compromises, and sometimes she pays it, knowing what it will mean later, but also knowing that not paying it is the worse option. This, “you can have what you want, but it’ll cost you” concept creates personal conflict that makes readers care about the characters and the outcomes of their actions and choices. It creates the story that the plot is trying to tell. Yes, Nya can save her sister, but she’ll have to become the most-wanted girl in two nations to do it. But Nya won’t leave family behind so she’ll make the sacrifices, even though she fights how much is taken from her every step of the way. Stripping her of her armor and protection (her anonymity) is what eventually reveals the real her, and when that’s all she has left, she has no choice but to embrace it. What does your protagonist want? This is the problem they need to solve in the novel. It’s what the book’s plot is about. Why do they think this will make them happy? Why won’t it? What does your protagonist need? This is the character arc. This is what will make them happy and allow them to be the person they really want to be. Is it an unconscious or conscious need? How do those two things conflict with each other? This is where the actual troubles lies. The other problems in the book are just examples that illustrate this core conflict. They can’t have both, and having one creates a problem with the other. How does one force them to make sacrifices to have the other? Conflict is two opposing sides, so if the protagonist can have both the want and the need without paying a high price, it’s not a conflict. What are the downsides to having the want and the need? If you don’t see a clear or strong conflict (and you might not, since this is a common issue), brainstorm ways you might add that conflict. Or, look deeper at what your story is really about. It’s possible you have an inkling of what the protagonist’s need is, but you never articulated it. You have a gut feeling you can’t quite put it into words, but it’s guided you so far. Once you find (or clarify) it, look at your story again. Odds are you’ll see scenes that will be much stronger if you add an aspect of that new-found conflict to them. On plot-heavy novels, you might even see the exact character arc you need to make that story sing. Using this want versus need model, what’s your conflict? I've been trying for a while now to clearly voice the inner & outer conflicts for my character, but never truly managed. It always felt like they were right in front of me but I just couldn't put my finger on them... The above questions really helped to spell them out, so thank you for that! Now I guess I'll have to go back to some of the scenes that I am not happy about and see if I can improve them by playing on the conflict between the 'need' and the 'want'! I'm so glad! This is exactly why I come at these topics from multiple angles--often all it takes is hearing a concept explained in a slightly different way for someone to finally get it. It happens to me all the time. Glad this one worked for you. I read a good YA romance recently where the "want" was for a happy romantic relationship, and the "need" was for the MC to be accepted by themselves, their family, and their friends if they came out. Obviously, the want vs. the need created a lot of conflict. I think romances are good for spotting and learning about this, because the "want" is always the same (happy relationship). And I'm kind of terrible about this because I tend to get bogged down in the details, so I need it spelled out for me very clearly and obviously. :/ "She wants a good relationship; she needs independence." "He wants this thing with the 'rebound guy' to work out; he needs closure." etc. What a great conflict. You can instantly see all the inherent problems there. I agree--romances are so clean that way. The goals are always clear. Mucking it up so it's interesting is the hard part (grin). 1. My story and characters were considered not sufficiently developed for publication in any of their publishing programmes (it's a sports romance). 3. I needed to focus on the internal emotional conflict. Ithought that I did all that, so it was a bit disappointing that my story's still not there yet. I'm going to go back to my story and again ask myself the questions you mention above. My question is how to go about fixing it. I'm a bit overwhelmed and have worked on it so many times that I can't see things clearly anymore. Should I read the whole story again looking if it answers the two questions or go through it scene by scene? Or, just leave it for now and work on a new story? I'd suggest doing an editorial map first. 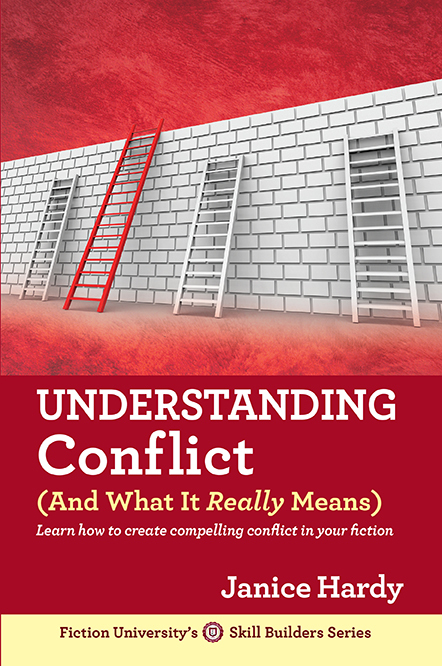 Get a solid summary of every scene and what the goal, conflict, stakes, motivation, and inner conflict are for each. That will also let you see where you're major plot turning points are. After that, start fleshing it out where it feels weak. Do one for the character arcs of both romantic leads as well. You should be able to see where the holes are. I think if you focus on building a strong inner conflict, that will also help you flesh out the characters (since their problems will be what's causing that conflict). You might look at their backstories and where they've been "wounded" in the past. What emotional issues are holding them back. Also think about how the inner conflict is keeping the two romantic leads apart. Traditionally, it's by solving that inner conflict that allows the romance to finally bloom. In romance, the first chapter usually shows the romantic leads in a "meet cute," so try looking at how you might put them together right away. I'd also suggest either going through the revision workshop here (the first post is in the popular posts section on the left), or grabbing my Revising Your Novel book. It has a ton of questions to analyze weak areas and advice for fixing problems.